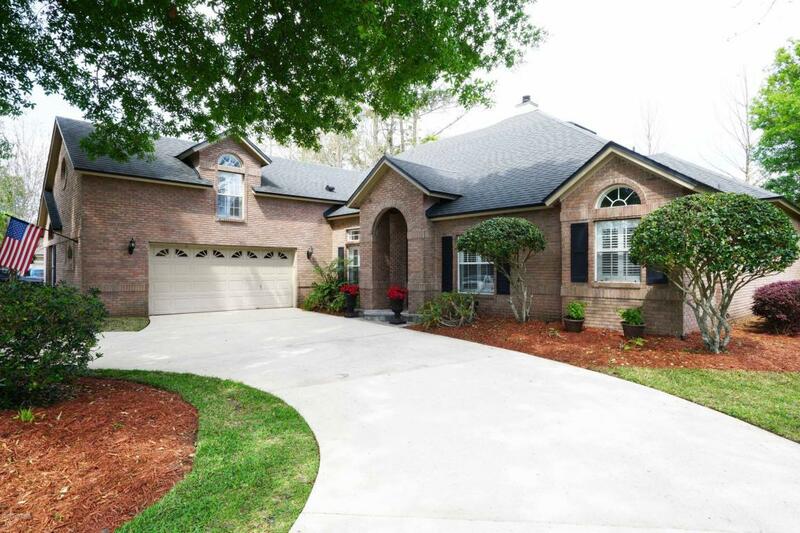 Come and see this buyer's dream ... a meticulously maintained and totally remodeled home which is located in gated community of Pace Island. 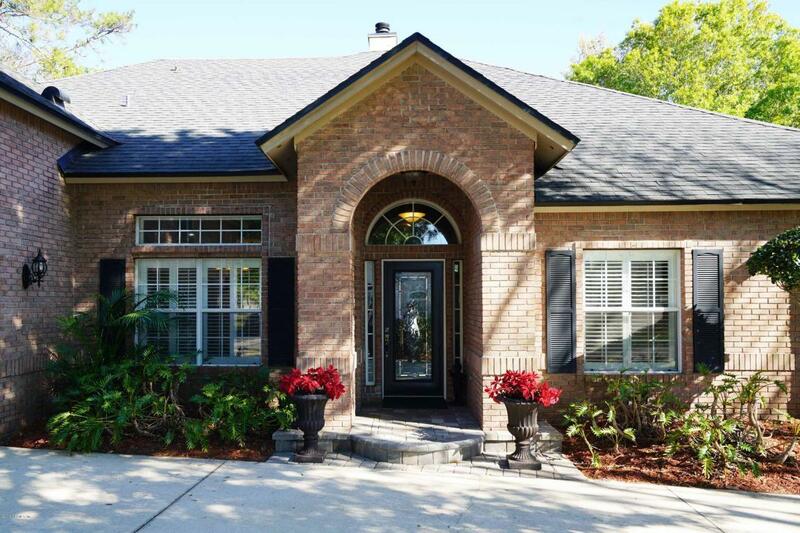 This is an all brick, traditionally elegant, lagoon front home which features a circular drive, impressive 11 ft. ceilings, three piece crown moldings, and plantation shutters throughout the house. The open layout provides the perfect entertaining space with 42'' white kitchen cabinets, high grade granite counters, stainless steel appliances, a double sided fireplace and stunning Florida room. The large master suite is complete with a fully remodeled master bath containing custom cabinetry, high grade granite, wood grained porcelain floors, a walk in shower and a beautiful claw foot tub. There are potentially four bedrooms on the first floorwith one being used currently as an office. 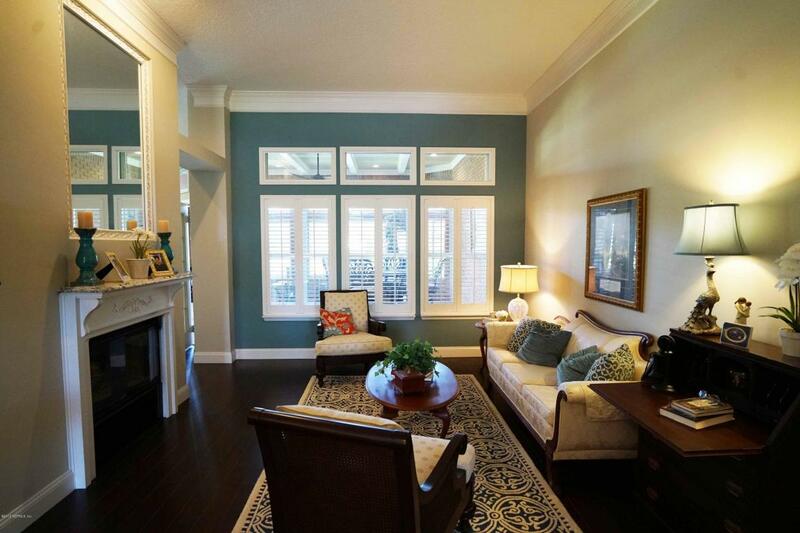 In addition, the home also boasts of a large bonus room / 5th bedroom / game room upstairs. 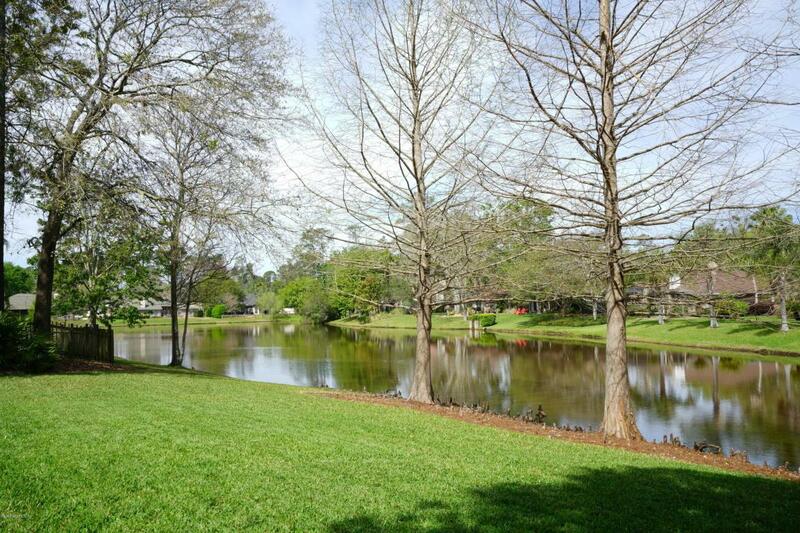 The house is situated on a tranquil fish filled lagoon which provides privacy and spectacular bird watching. This home is truly a rare find and well worth a visit. It is one of the nicest I have walked into in years!